Real world application for microbiology! This kit simulates the procedures followed by public health departments in determining if milk sold commercially is safe for human consumption. The exercise involves collection of 2 milk samples along with a third bacteria-laced milk sample. Students conduct a standard plate count, a direct microscopic count, and a dye reductase test of all samples. 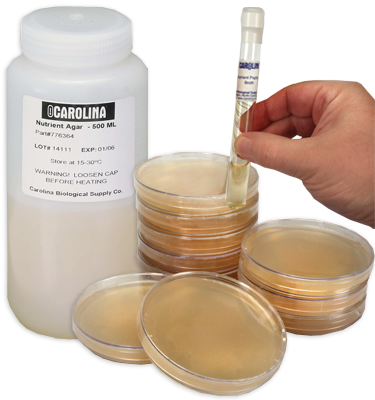 Keep bacteria culture at room temperature. Materials for a class of 30.